The Authority for Research and Conservation of Cultural Heritage (ARCCH) and the French Center for Ethiopian Studies (CFEE) have been close partners since the very beginning of their existence. These institutions directly inherited from the 20th century scientific cooperation between Ethiopia and France, and they both have their roots in the Archaeology section / Ethiopian Institute of Archaeology (1952-1966), administrated by both French and Ethiopian scientists, which later became the Antiquities Administration, then the CRCCH, and eventually the ARCCH in 2000. The CFEE started operating as an autonomous entity under the name of Maison des études éthiopiennes in 1992. Alongside a vivid scientific partnership implemented through different field-based research projects, the ARCCH and the CFEE accomplished several joint projects, particularly in the field of museography and curation of archaeological and paleontological collections. 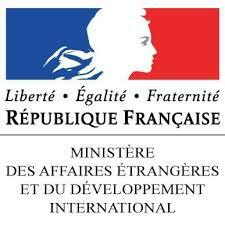 This continuous cooperation was supported by several funds from the Embassy of France to Ethiopia and its Cooperation and Cultural Affairs Service. 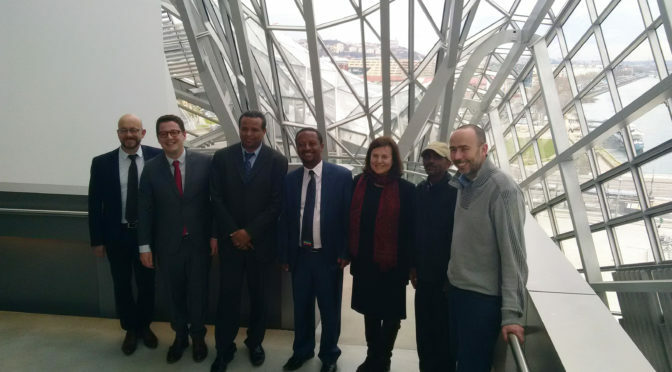 These funds were notably allocated to the equipment of research spaces (in conjunction with other partners) and to improving the exhibition space of the National Museum of Ethiopia. A Memorandum of Understanding was established between the two institutions in 2012 in order to formalize and strengthen this cooperation. Probably the most important recent achievement of this cooperation was the inauguration of the entirely redesigned permanent gallery of Paleontology and Prehistory of the National Museum of Ethiopia on December 3, 2014 (see our previous post here: cfee.hypotheses.org/82). Since this landmark event, cooperation has continued, particularly in the domain of training and formation. This was made possible thanks to the personal involvement of Dr. Jean-Renaud Boisserie (CNRS, UMR 7262 PALEVOPRIM & USR 3137 CFEE), Principal Investigator of the Omo Group Research Expedition (OGRE) and scientific coordinator of the aforementioned exhibition, who has been continuously contributing to CFEE–ARCCH joint projects for almost 20 years now (see our portrait here: cfee.hypotheses.org/376). Under his supervision, guides of the National Museum Exhibition Hall were provided with ad hoc comprehensive training to the presentation of renewed contents of the gallery of Paleontology and Prehistory. He also provided young Ethiopian students and ARCCH staff with regular classes in Paleontology over the last two years, as well as supervision of Ethiopian graduate students. In 2015, Dr. Jean-Renaud Boisserie, Dr. Yonas Beyene, Mr. Behailu Habte, and Mr. Tomas Getachew developed a new CFEE–ARCCH joint seminar entitled ‘Evolution: An International Research Seminar in Eastern Africa. Paleobiodiversity, Paleobiology, Prehistory, Paleoenvironments’ (see more details on our website: cfee.cnrs.fr/spip.php?article59) that has been a success with, as of now, 16 lectures provided by international researchers on a wide array of topics in a multidisciplinary framework. The ARCCH recently started to develop new partnerships with the Musée des Confluences in Lyon and Lyon Métropole, in France, in the field of museography. A recent visit of ARCCH representatives has been held in Lyon in March 2018. Dr. Jean-Renaud Boisserie has participated to this meeting with the CFEE support. The CFEE accompanies this new cooperation as a naturally designated body and long term expert of the question.